I feel so thankful today for how the day turned out. 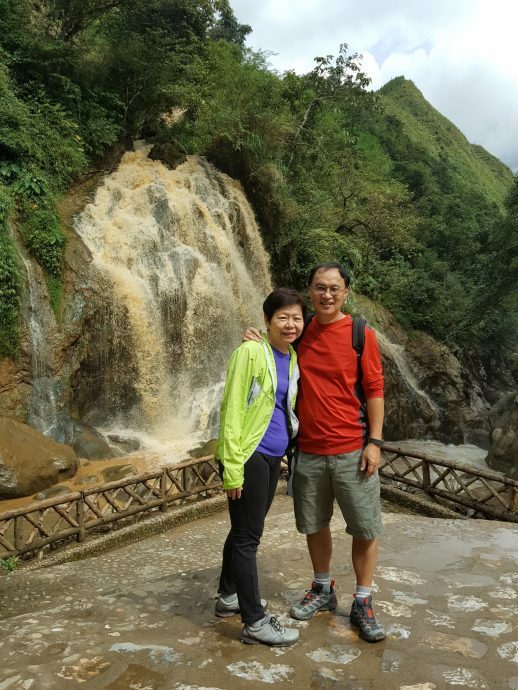 We had planned to take the cable car to Fansipan, Vietnam’s highest mountain. 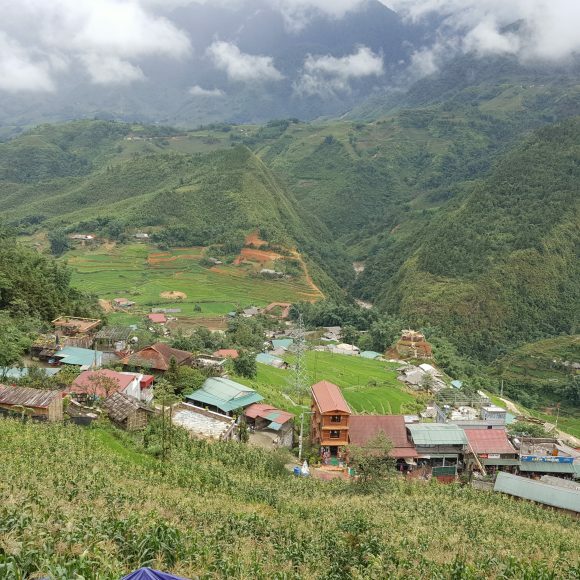 However it was very misty and we decided to change plans and do a hike to the Cat Cat Village – a Hmong village about an hour’s hike down and two hours’ hike up on the return leg. As we walked down the street the drizzle steadily became more intense and we went into a cafe to wait the rain out. After an hour of waiting we decided it would be better to return to the hotel and rest while my daughter went for a shoulder and leg massage. At about 12 plus the rain all but stopped and we decided to resume our planned hike. 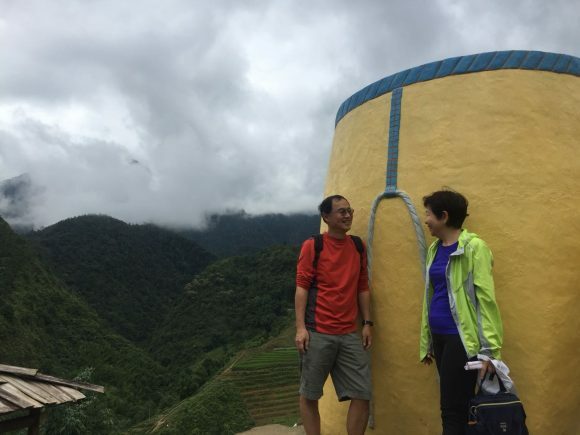 The air was pleasantly cool and fresh and there were many lovely views of the valley and its rice terraces and the mountains with their summit clouded by mists. 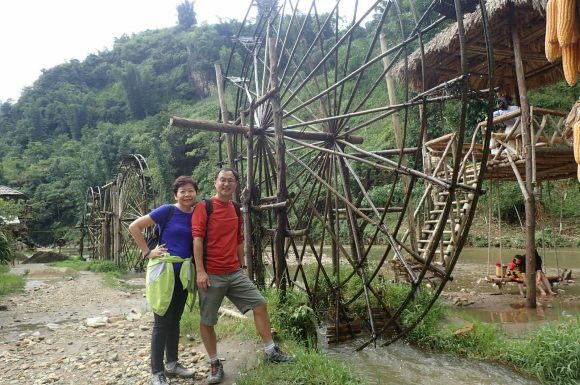 We took many photos and about halfway down a kind Vietnamese couple signed to us if we wanted a lift to the entrance of the Cat Cat Village. We went in happily and though they did not speak a word of English, they signed to us their intentions. 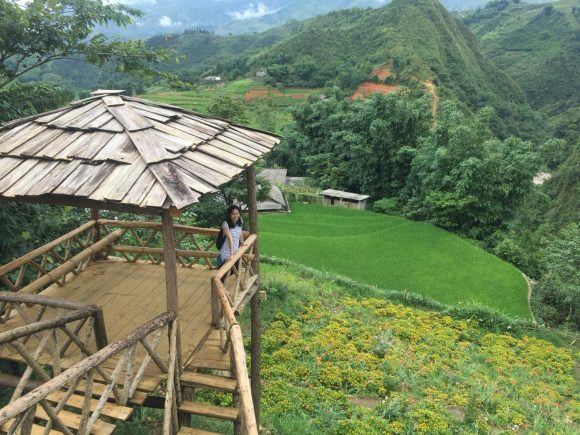 Ten minutes later we were at the entrance and paid about SGD $6 to enter this Hmong village. We were praising God for this was not incidental but God’s provision. 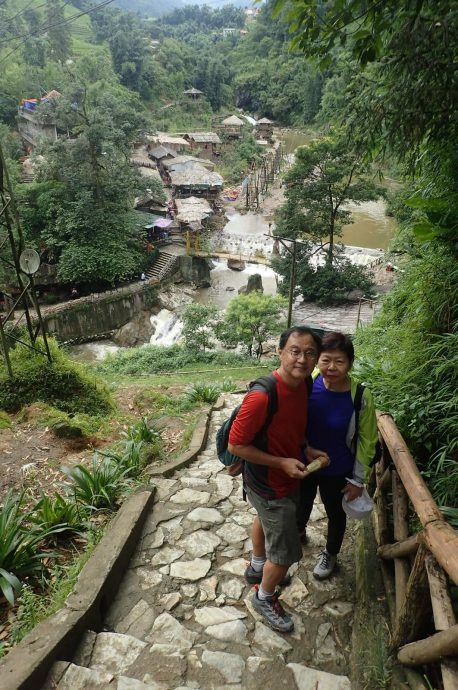 It was a route of 2 to 3 kilometres that brought us past a school, village homes, stalls selling similar tribal products, and gardens, waterfalls, a theatre with free Hmong musical and dance performances. It was interesting, engaging, and with the mobile and photo taking opportunities, the minutes passed very quickly. By the time we covered the loop it was about 4 pm and it began to drizzle again. We took a cab for SGD$6 and it brought us back to our hotel. 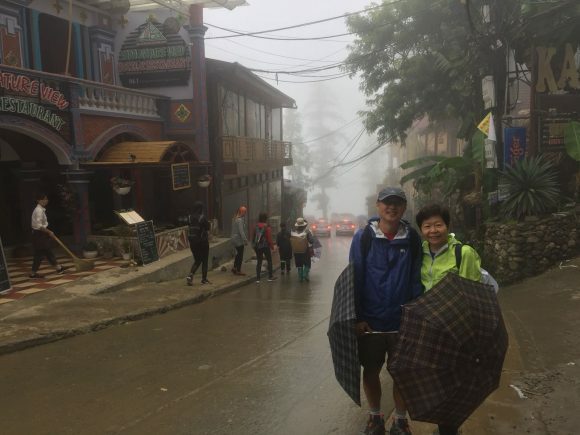 Along the way we passed many tourists who hiked up back to Sapa town. We estimated it would take us 2 hours to hike up, with the level of our fitness and a 4 out of 10. This was a happy day, a happy Sunday, as we saw the Lord guiding and providing for us. However what disturbed me is to see little children as young as four or five selling sourvenirs with minders, sometimes the mother or grandmother several feet away to watch them. There is obvious poverty. 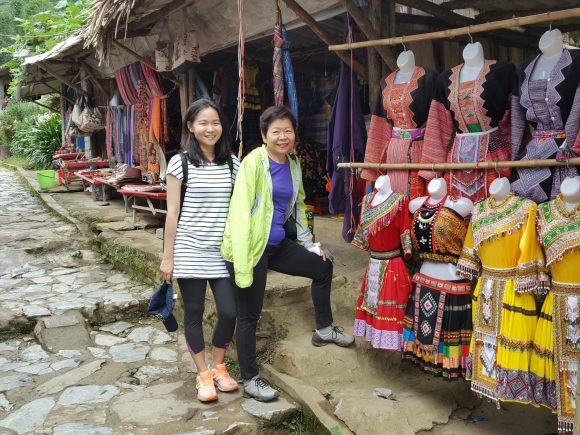 I would have thought that the collection of fees and tourism would have made the lives of the villagers better. 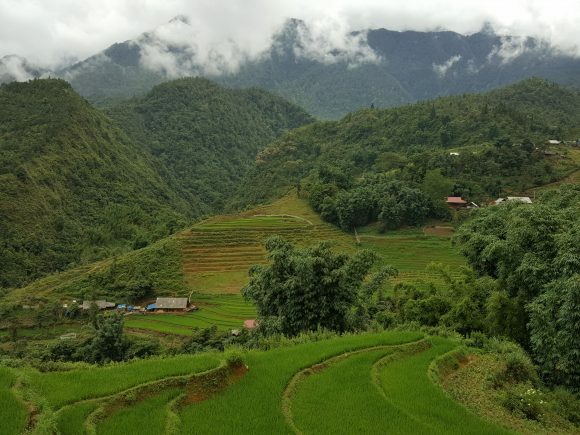 It probably does but I wished more education, affordable medical care, and marketable skills could be given to the Hmong people so that they don’t have to be tourist attractions the rest of their lives. I was solemnising the marriage of two faithful members of the church when during the course of the dinner, I heard a unique name called out that triggered my memory. It was, “Mao Siang” (spelling uncertain). 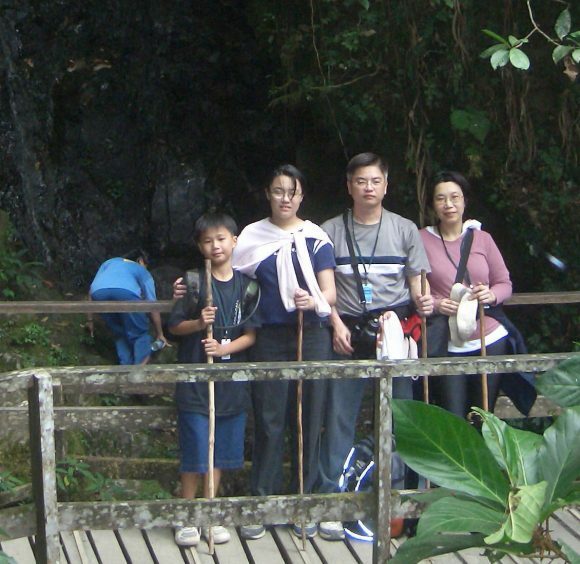 Years ago, in 2005, I led some young people from the church on a hike to Mt Kinabalu. it included adults for sure. However, the youngest of them was eleven year old Mao Siang, one of our member’s nephew. 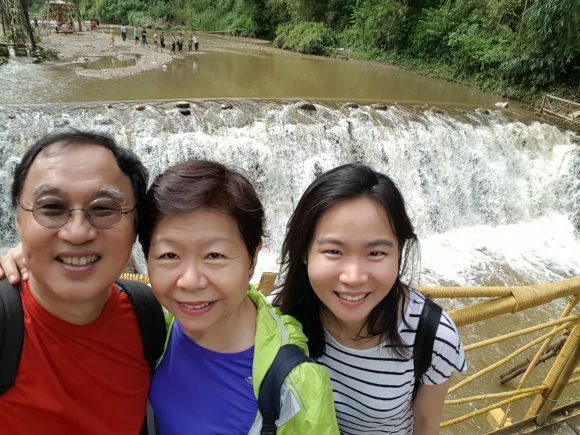 Mao Siang, Rachel the cousin (who got married).Peter Lim and Eunice, the aunt. 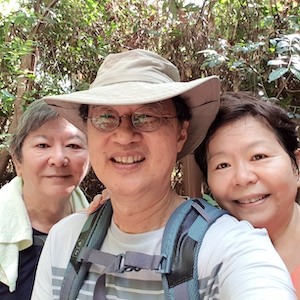 It was remarkable that at that young age he had the motivation, discipline and endurance to go through the rigours of weeks of afternoon training at Bukit Timah Hill and finally to summit the mountain. I was amazed. And with such a unique name, I simply could not forget. 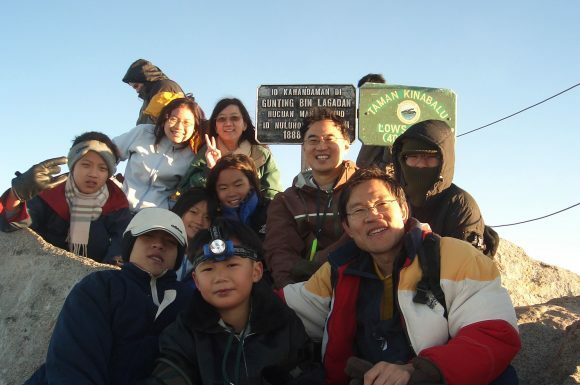 Mao Siang (second from left, lowest row) at the Loh’s Peak, summit of Mt Kinabalu. 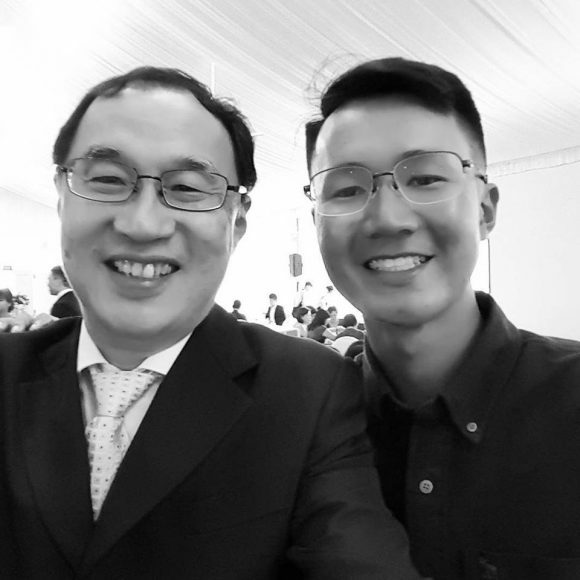 So I asked the mother to introduce him to me and I learned he was studying in the second year in the National Technology University of Singapore. 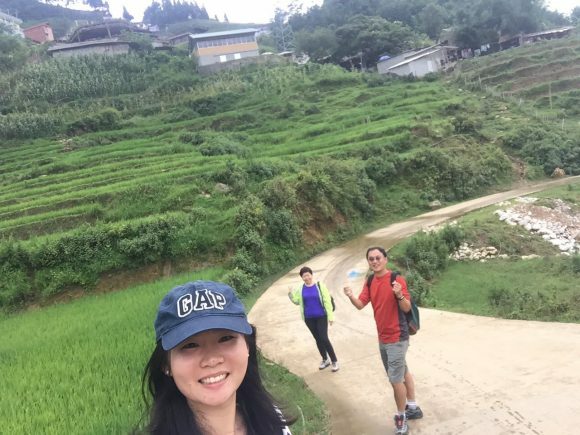 I could not resist taking a wefie and blogging about this. 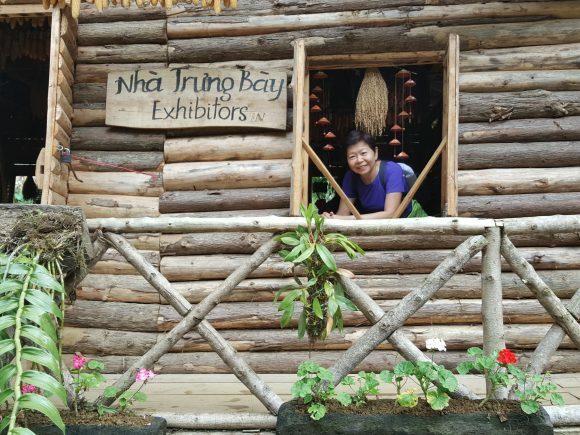 Kinabalu 1 – where Mao Siang hiked with us.